Roots of Wisdom showcases the ways in which the traditional knowledge of native peoples and Western science are woven together to improve the natural world. 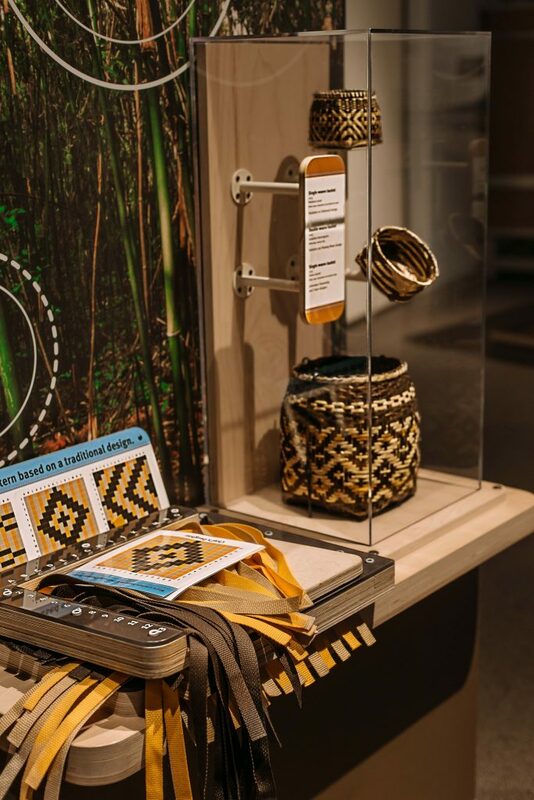 Featuring four indigenous communities, including the Eastern Band of Cherokee Indians, this traveling exhibit shares inspiring stories of environmental and cultural restoration that society faces today. Through the voices of elders and youth, engaging video interactives and hands-on games, visitors will gather resources, examine data and take part in the growing movement towards sustainability and the reclamation of age-old practices. Exhibit support is provided in part by The North Carolina Arboretum Society, Smoky Mountain Living Magazine and Mosaic Community Lifestyle Realty. “Roots of Wisdom: Native Knowledge. Shared Science.” was produced and is toured by the Oregon Museum of Science and Industry (OMSI). The exhibit was made possible with funds provided by the National Science Foundation.